Today brings to an end another EPA SepticSmart Week for 2017. This Septic System Awareness Week has been packed with useful information for anyone using an Individual Sewage Disposal System to take care of human waste and household wastewater. Learn about Maintenance to Keep Septic Systems Healthy. Elk River MN properties not connected to a centralized sewer system are almost certainly using this type of On Site Sewer on their property. CSI Custom Septic, Inc. is licensed by the Minnesota Pollution Control Agency (MPCA) as a Certified Septic Services Company for properties in many Minnesota communities. We are here to assist with Residential Septic Systems and Cabin Sewer Systems in central and northern Minnesota. Be sure to check out Part 1 and Part 2 in this 2017 SepticSmart Week series brought to you by CSI Custom Septic, Inc.
First of all, you may be wondering how to know if your property is equipped with an Individual Septic System. 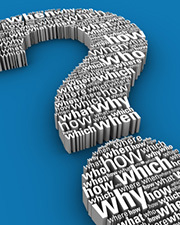 If you answer YES to the following questions then your home should have its own Sewage Waste Treatment System. It is used to collect, treat and disperse wastewater that comes from a home’s plumbing system, including Kitchens, Bathrooms and Laundry. Your home does NOT have a Water Meter? You do NOT receive a Water & Sewer Bill from your city? Do your Neighbors use a septic system? Taking the necessary steps to Properly Maintain a Septic System can result in significant savings. Regular Maintenance is meant to Save Money, Protect Property Values and Keep People Healthy. Save Money by spending an average of $250 to $300 each year on septic system care as opposed to spending as much as $3000 to $7000 on repairs or premature system replacement. Protect Property Values by mitigating legal liabilities of a septic system malfunction and having a sewage system that is health code compliant. Keep People Healthy by making sure that wastewater is sufficiently treated before being allowed back into the water supply. Untreated sewage can spread disease and pollute the environment. 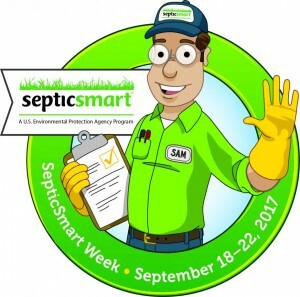 The amount of Septic System Information that we would like to share during SepticSmart Week 2017 is simply too much to fit into three articles. So, the next installment from CSI Custom Septic, Inc. will provide Tips for Maintaining a Healthy Septic System. CSI is an MPCA Certified Septic Company that provides several services to help MN residents to enjoy life without the worry of a septic system failure. In Elk River MN, contact CSI Custom Septic Inc. for Septic Inspection, Septic Repairs and Septic System Replacement at: (763) 218-4769.